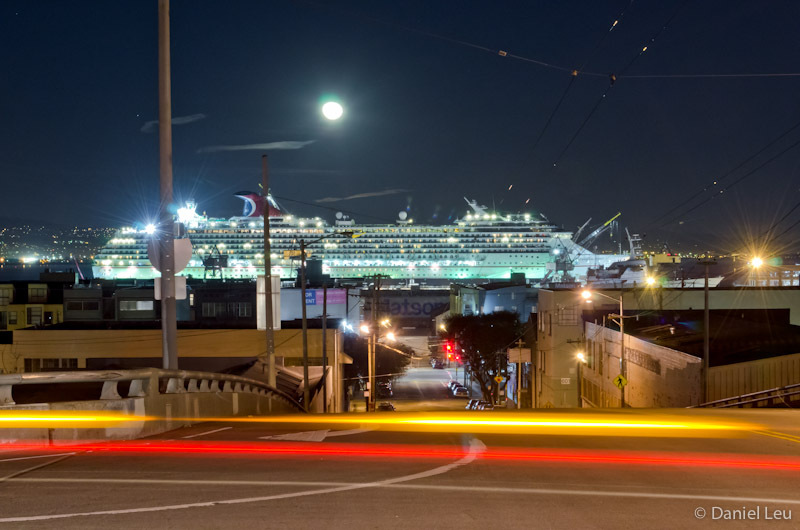 Just a year ago, the big Carnival Splendor cruise ship was in a dry dock at pier 70 in San Francisco for some major repairs. 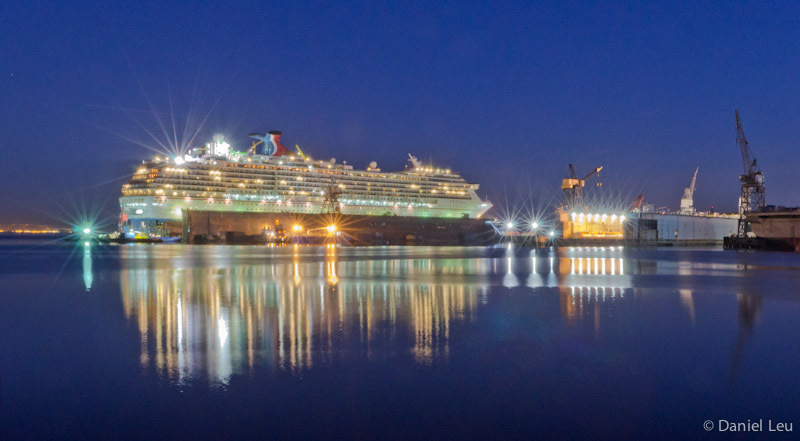 Now an other big cruise ship from Carnival Cruise Lines is in the dry dock. 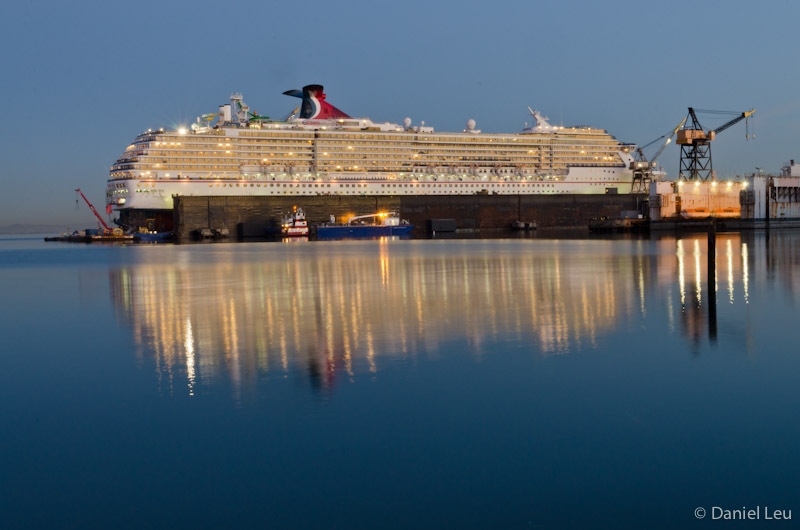 Initially I thought it is the Carnival Splendor again, but no, it is the Carnival Spirit. It has ‘only’ 12 decks and is 963 ft long compared to the 13 decks and 950 ft of the Splendor. The Spirit is here for preparation to its transition to Australia later this year.